Back in the seventies most people had a defined pension that has been gradually taken over by 401k like schemes where the onus of retirement planning has now been thrust on the individual worker. One solution is to take the initiative by carving out a personal pension from existing assets. If you turn to 401k funds you ought to be able to convert a portion of those funds into a longevity insurance policy, if federal laws address the legal issues competently. The longevity policy addresses a major issue that is confronting many seniors-that of surviving longer than their 401k funds. What makes Longevity Insurance so attractive? A longevity insurance is effectively a deferred annuity, meaning that you are buying the annuity today while agreeing to defer the disbursements till you reach a certain age, say 85, IF you live that long. Effectively, you are saving for a fund that would be kept in abeyance for about two decades till you actually use it. Death could rob you of that money, but what if you survive? You will have funds that will be useful when 401k has run out of steam. Supposing you desire an income of $1,500 per month after you attain the age of 65 years; if you want an SPIA you need to shell out approximately $270,000; you provide that sum and get your payments immediately. In longevity insurance you get the same benefit for just $50,000; it is less expensive purely because the contribution dies with you! Your legal heirs won’t get anything. What prevents people from resorting to longevity policies is a legal requirement that people have to withdraw specified amounts (required minimum distribution, or RMD) from 401k funds once they cross the age of 70 ½. The longevity insurance becomes feasible only if a portion of 401k funds can be diverted for this purpose by overcoming the RMD rule. Fixed income annuities are recording the fastest growth prospects as their popularity increases. Companies like Vanguard and Fidelity are offering annuity comparison services online that are helpful in locating good schemes. Standard & Poor, Fitch and Moody’s Investor Services are companies that help you check annuity company rankings to decide the best offers. If it worries you that your premature death forecloses benefits to your legal heirs, you can choose annuities that have limited refund options for beneficiaries. If you are concerned that inflation will reduce the money value of your annuity in the years to come, you can add cost of living compensation amounts but that would make the annuity a tad expensive. Lower interest rates indicate that the payouts will be lower than any comparable investment scheme. But, one has to be realistic. 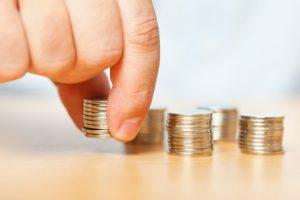 At this juncture you need to assess the benefit of getting a steady payment that will take care of your requirements If you happen to outlive your retirement fund, and you could seek solace in the fact that a smaller sacrifice today will dramatically improve the quality of your life in your twilight years without becoming a burden on your children. Sacrificing small or large sums of money in long-term investments like annuities need not strain your finances, especially your ability to meet urgent short term cash demands. For cash emergencies you can always resort to a pawn car title loan that can be availed on the collateral of your car title pink slip document. The cash loan for title attracts an interest less than 25% APR which is quite reasonable if you consider options like high interest bearing credit cards and pawn loans. The car equity loan approves a sizeable sum of money equivalent to around 60% of your present car value, accessories included. Such an auto equity loan will be easier to repay because you can decide comfortable repayment schedules that match your income. The title loan money will come in handy for tackling emergencies while you remain focused on investing surplus cash on crucial investments.